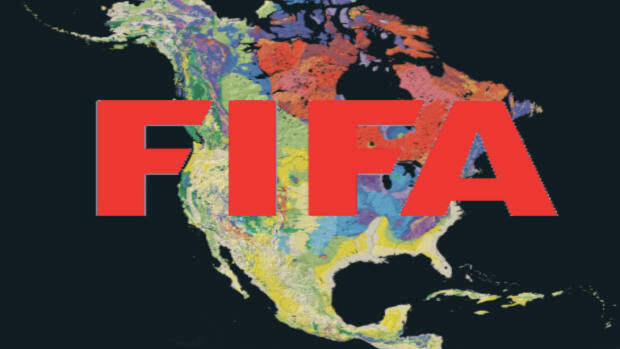 Well, it&apos;s time for the World Cup and that&apos;s a confusing time for a lot of Americans because it means having to (re)figure out why the rest of the world keeps referring to soccer as "football". Of course that&apos;s a misnomer. That&apos;s just another example of what the President talks about when he says foreign interests are robbing America blind. They&apos;re stealing our jobs all right, but they&apos;re also stealing the name of our sports (#Sad). I imagine I&apos;m preaching to the proverbial choir here because if you&apos;re reading this, it means you have internet access which, like running water and electricity, is something that isn&apos;t common outside of the United States (because #Shitholes). But on the off chance you&apos;re someone who doesn&apos;t live in America and somehow still has an interweb connection, let me explain what "real" football is. "Real" football is a game played on Fridays (high school), Saturdays (college) and Sundays (pro) always in the fall, and never by women. The premise is simple because given the average IQ of the fanbase, it has to be. Generally speaking, the idea is to divide up 106 giants into two teams of 53, put armor on them and pay them millions of dollars to try and kill each other. It&apos;s basically Gladiator without the weapons and the tigers. Beyond that, the specifics aren&apos;t really important, but since I&apos;m educating foreigners here, I&apos;ll tell you the rest. There&apos;s a field and on either end of that field are two brightly-painted "end zones". They&apos;re called "end zones" because Americans understand the definition of the word "end" and also have some general conception of what a "zone" is, so it was natural to combine the terms. The goal of the game is to carry (with your hands, obviously) the ball into your team&apos;s designated "end zone". There&apos;s another way to score that involves midgets kicking the ball through a tall, two-pronged post, but everyone hates that (which is why you don&apos;t get as many points for it) and it&apos;s only used as a last resort and sometimes not even then because if you really want to, you can fake like you&apos;re going to let your midget kick it and then try to hand it to one of your armored giants instead who will try one last time to claw his way to an arbitrary line on the field without getting killed by the other team&apos;s giants. This kinda, sorta works at the high school level, is a little more entertaining at the college level, but is obviously best when it involves adult men on steroids (i.e., the pro level). Traditionally, Americans hold ritual celebrations in their basements on Sunday afternoons where grown men honor their favorite combatants by eating cardboard shards called "Tostitos" dipped in something that definitely wouldn&apos;t count as "salsa" in Mexico and washing it down with something called "Bud Light" which, for those unfamiliar, is akin to what you&apos;d imagine alcohol-infused horse piss would taste like and which probably doesn&apos;t even count as "beer" in Europe. Recently, those ritual celebrations have been upended by a debate about whether or not the gladiators are allowed to kneel during the ceremonial shrieking of an American war ballad, but that&apos;s another story. That&apos;s "real" football. Now you know, foreigners. "Fake" football is something entirely different, which is why we gave it a different name (soccer). Soccer is a weird game with an entirely ridiculous premise - you can&apos;t use your hands. 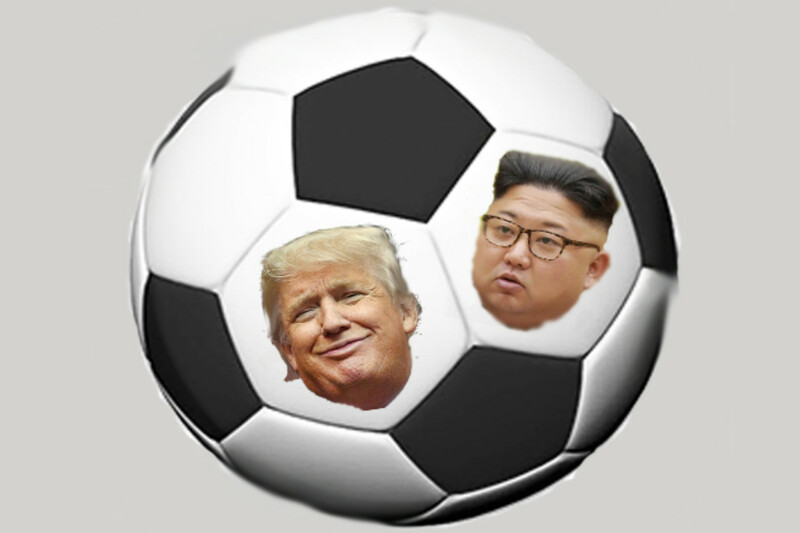 As far as Americans are concerned, the rest of the world is free to play it but we&apos;re still a bit indignant about this whole co-opting of the name "football". That&apos;s another example of IP theft and it underscores the need to protect America&apos;s trade secrets by slapping tariffs on other countries. Once every 64 years (give or take), the world plays a big soccer tournament and it gets a lot of press for reasons that remain unclear. We let this spectacle go on primarily because it always produces a lot of pictures of attractive female fans from around the world, something you don&apos;t get a lot with American football outside of the cheerleaders, so in that regard, the World Cup isn&apos;t entirely a waste of time. It is that time. Summer is in the air, the greatest competition in the world is about to begin, and we have published the sixth edition of our book on the World Cup and Economics. 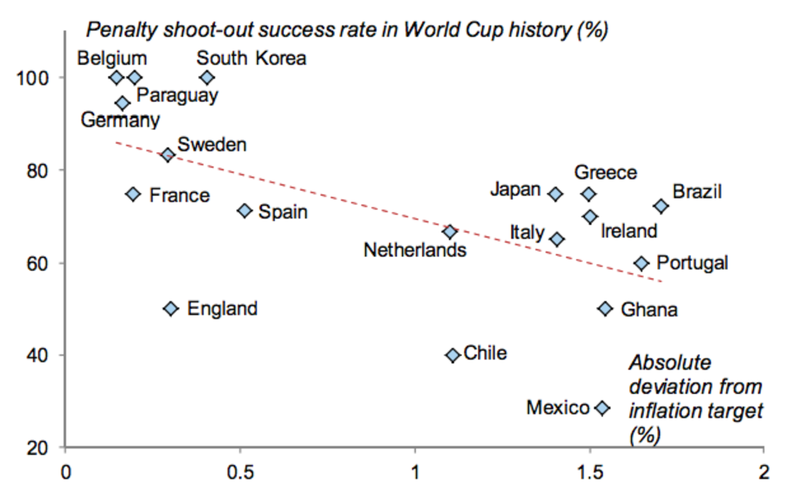 This traditionally eccentric mix of economic insight, tenuous correlations and footballing views remains one of our most popular publications, and we invite you to use it as a guide and companion through the upcoming competition. 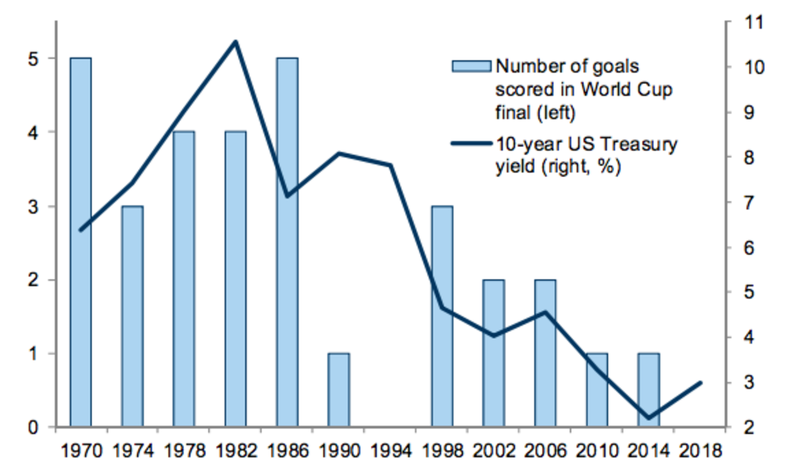 It&apos;s unclear why one of America&apos;s foremost financial institutions continues to implicitly degrade American (i.e., "real") football by dedicating so much time to the World Cup (the latest edition is the product of "hours of number crunching, 200,000 probability trees, and 1 million simulations"), but the bright side for Americans is that it gives us another reason to despise unAmerican football. 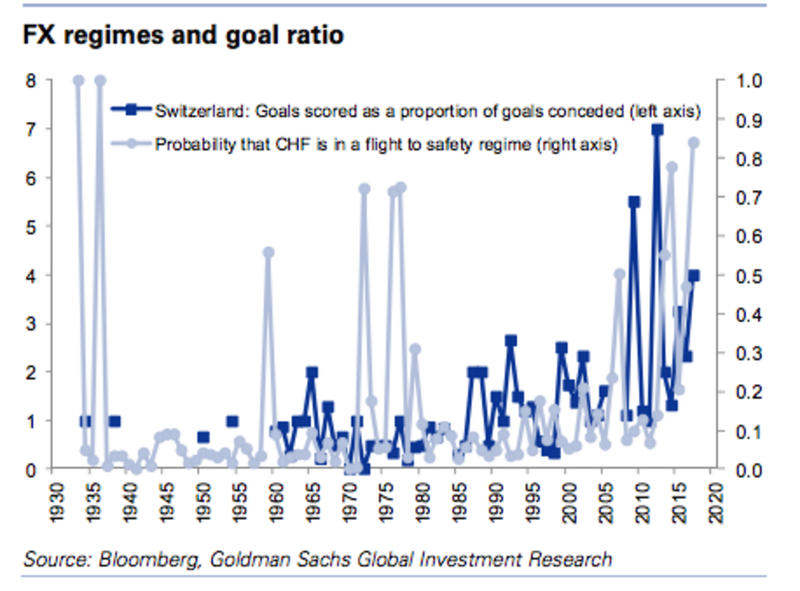 Simply put: Goldman&apos;s work lays bare the fact that pretty much everything in the world depends in one way or another on soccer. And I could go on, but I mean how much more evidence do you need, America? 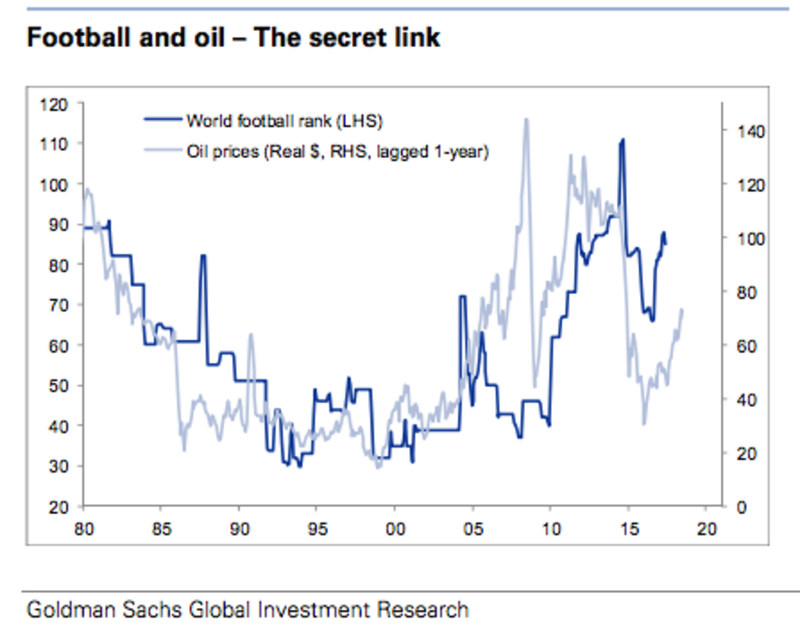 Everything from appetite for the world&apos;s safe haven asset par excellence (the franc) to oil prices to Treasury yields depends almost entirely on a sport that Americans generally despise, and as if that&apos;s not bad enough, the rest of the world is rubbing it in our faces by stealing the name "football". I don&apos;t know. This is all just incredibly frustrating and disheartening. 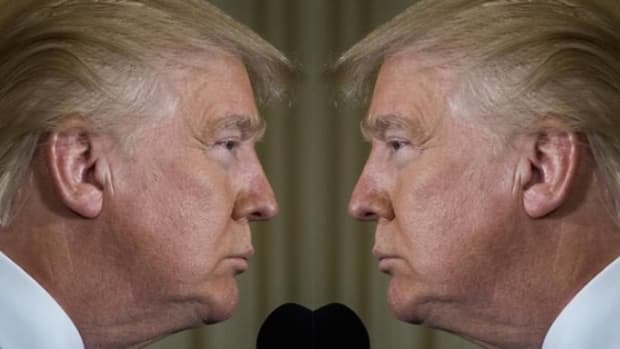 Thankfully, the clock is ticking on this global charade, because you can bet that once the "America first" vision is fully realized, all of these key economic variables will go back to being correlated with the only thing that really matters in the world: the Super Bowl.